This shall be written for the generation to come . . . Psalm 102:18 . . . 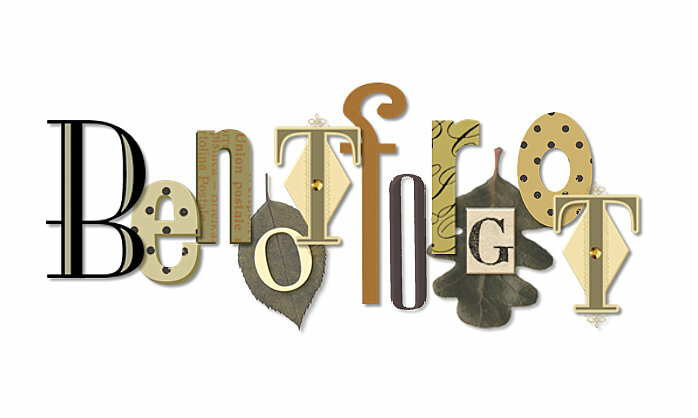 When it came time for Saturday Night Genealogy Fun with Randy on January 30th, I am happy to say that I was delightfully busy making memories with family members at a birthday event held south of Houston -- so I am LATE for SNGF! But since this one is right up my alley, I just could not resist putting something together. Since we are already into February, I went ahead and did my calendar for this month. I created the basic calendar using Family Tree Maker 16. 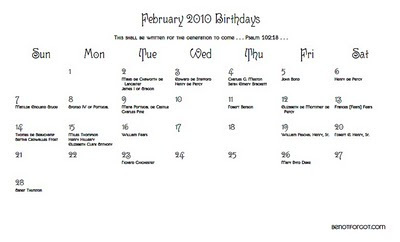 Maybe I need to spend some more quality time with FTM 2010, but I do not yet see a way to personalize calendars as Family Tree Maker has always allowed us to do -- they seem to have taken away the customization features that I like to play with. Once I had the calendar the way I wanted it in FTM16, it was exported as a PDF. The PDF was opened for viewing, and the image was captured using the PRT SCR button. The image was then cropped to the desired size using Picasa. Using a free scrapbook page found on the internet, a multiple exposure collage was created using Picasa. This multiple exposure was then used as part of a picture pile collage, along with a free background image and a free clipart image. 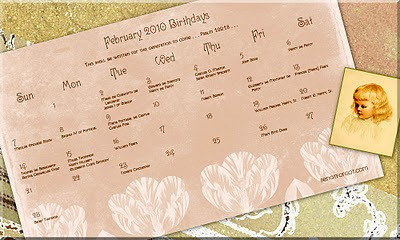 I actually wound up doing two calendars -- one for birthdays, and one for anniversaries -- because I could not get all of the information on one calendar page. The one you see here is now the desktop on my laptop computer. The one I did for February anniversaries is scaled for the monitor for my desktop computer, and is displayed there. Please do not hesitate to ask questions if I don't make sense! Vickie, this is gorgeous. I just wanted to say thanks for your great tutorials. I normally use Photoshop Elements, but I want to learn Picasa so that I have another tool in my toolbox. Your tutorials - both here and in Shades - are very helpful. Keep up the great work! Thank you, Tonia! I do appreciate your stopping by for a visit, and taking the time to comment. I AM enjoying participating in the Shades project. Please do let me know if you ever have any questions about what I do here or at Shades. V.